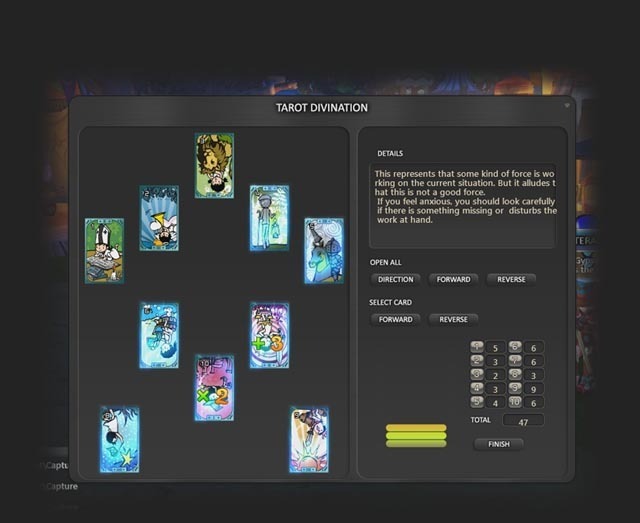 The Tarot Card system in Iris Online offers a multitude of different buffs lasting up to 2 hours. The buff you receive depends on the quality of the Tarot Cards used, the Spread you select and the actual reading score you obtain. To get started you need to collect the 22 Bronze Tarot Cards in your Card Book, these can be found on monsters or you can buy them from Tobias the Grand in Terminus. To add a card to your Card Book you can double-click on it. To view your Card Book, go to the General Menu and click on Card Book or simply press B. There are pages for all three grades of Tarot Card. Bronze, Silver and Gold. This Card Book is filled with all 22 Bronze Tarot Cards. If you click on one of the cards, it's picture and description are displayed on the left. This card is the "Fool". You will also need a Bronze Spread which you can also get from Tobias or from monsters. The buffs that you receive from reading the Tarot Cards depend on which spread you use. The Card Book can hold up to 5 spreads for each grade of tarot. So you can have 5 Bronze Spreads, 5 Silver Spreads and 5 Gold Spreads. 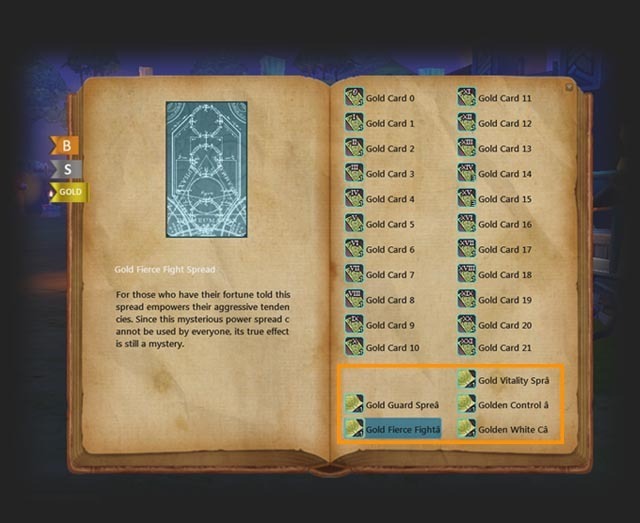 This is the Gold grade page in the Card Book and it's filled with all 22 Gold Tarot Card and 5 Gold Spreads. Finally, you will need one Fairy's Powder as a reagent for the reading, which can be found on monsters. 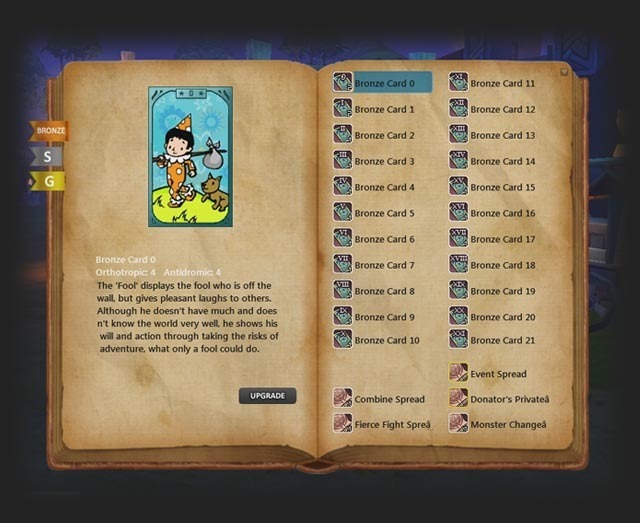 Once you have your Card Book's bronze page filled with all 22 Bronze Tarot and at least one of the Bronze Spreads, go to the General menu and select Fortune. 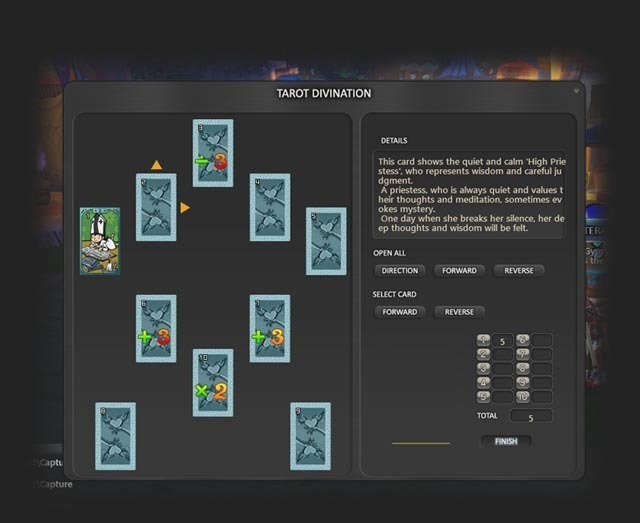 Providing you have the required ingredients (all 21 Bronze Tarot Cards, at least 1 Bronze Spread and 1 Fairy's Powder) you will be greeted by the Fortune Telling House interface. Here you can see the 21 Bronze Tarot cards and a list of Bronze Spreads from your Card Book. Click on the View button to get started with the reading. 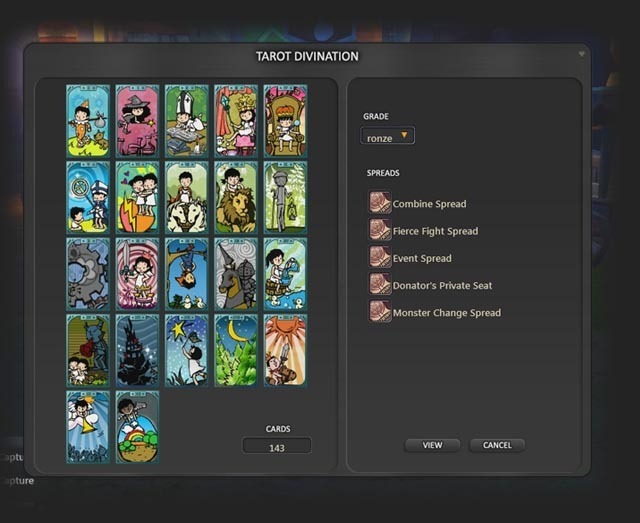 Select 10 Tarot Cards to be included in the reading or just click on the Random button to select them automatically and click on Complete. Now select a spread to use for the reading. 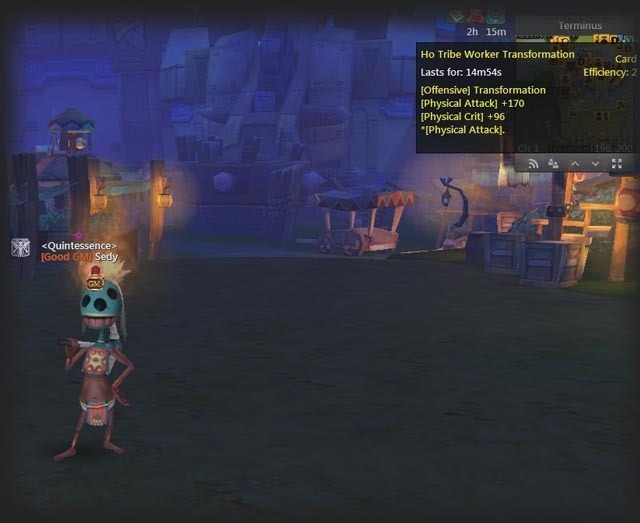 If you hover over the spread a description will be displayed, showing which buffs the spread contains. Now for the actual reading. 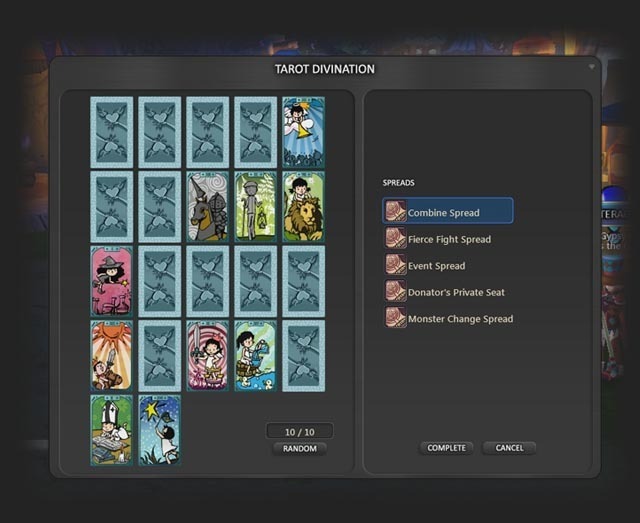 Click on the Select Card Forward and Reverse buttons to place each of the 10 cards or the Open All Direction, Forward and Reverse buttons to place them automatically. Each time you place a card you will see a number appear. This number is your reading score and the total score at the end of the reading dictates which buff you receive from the spread. Here we got a total reading score of 47. For the chosen spread, this isn't a great score, shown by only 3 yellow bars. If we had a higher score, there would be more bars and we would receive a stronger buff. 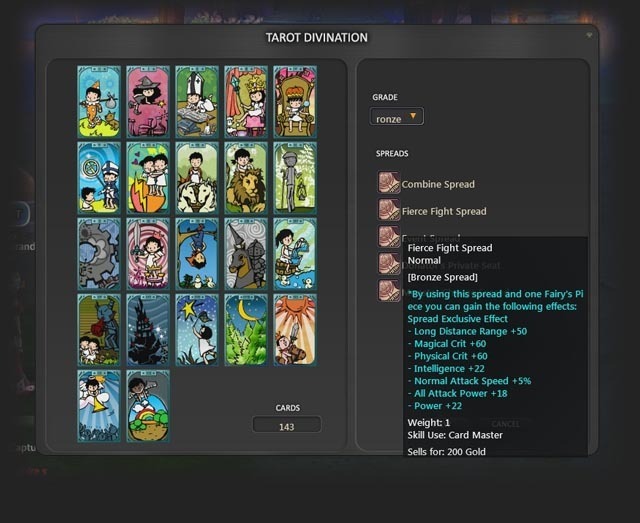 A full list of Spreads and the included buffs can be found in nsDB. It will also show where to buy them or which monsters drop them. The reagents required for readings depend on the grade. We already know you need a Fairy's Powder for Bronze tarot, but what about Silver and Gold? Silver requires a Fairy's Piece which can be found on monsters but can also be crafted by Alchemists using [Recipe] Fairy's Piece Transformation available to buy from Archemi in Terminus. Gold requires a Fairy's Marble which can be found on higher level monsters but can also be crafted by Alchemists using [Recipe] Fairy Marble Transformation available to buy from Archemi in Terminus. This guide does not include any information on the actual buffs you can get from spreads since there are just too many. That information can easily be found in nsDB.